Miss Justice - Expert Motoring Lawyer defending drivers nationwide: Can You Fall Foul Of The Law Teaching A Learner Driver? Can You Fall Foul Of The Law Teaching A Learner Driver? We have recently received a few enquiries about the rules applying to New and Learner Drivers. If you are a parent about to embark on the road of teaching your child to drive, you are already probably tearing your hair out with the stress of hitting the imaginary brake every 5 minutes every time you go out and about on driving practice! The last thing you want is to get in trouble yourself for not following the motoring laws applicable to provisional drivers. Can anyone supervise a learner driver? A provisional licence holder may be supervised by a “qualified driver” for the purposes of a driving lesson. A qualified driver is someone who is at least 21 years old and who has held a full UK driving licence for at least 3 years. L-plates must be displayed on the vehicle and there must be a valid policy of insurance in force in respect of the vehicle. A learner driver must also refrain from drawing a trailer. Unless the person supervising the learner driver is a registered driving instructor, they cannot charge for their services. This means that it is fine for a parent to sit in and supervise their child, but they cannot take money or money’s worth for doing so. This is interpreted very widely and any arrangement must not have a “commercial flavour”. How do I become a qualified driving instructor? the instructional ability and fitness test. The driving ability and fitness test and the instructional ability and fitness tests must be passed within 3 attempts each and within 2 years of passing the written examination. Your instructor licence will need to be displayed in the windscreen of the car when giving lessons. Once you have qualified, you will periodically be required to undertake a test of continued ability and fitness to give instruction. 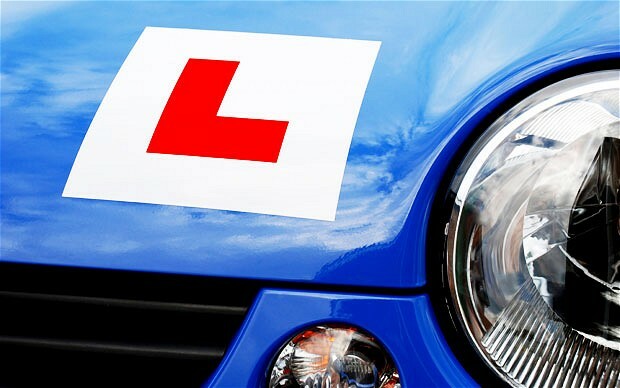 What duties do I have when I am supervising a learner driver? Anyone supervising a learner driver has a duty, when necessary, to do whatever can reasonably be done to prevent the learner from acting unskilfully or carelessly or in a manner likely to cause danger to others, and to this extent to participate in the driving. If there is an accident caused by lack of supervision, the learner could be charged with driving without supervision and the supervisor with aiding and abetting him, both of which are punishable by a fine. Similarly a supervisor can be charged with aiding and abetting a learner drink driving if they are supervising a learner driver whom they know to be intoxicated, the most serious penalty for which is a custodial sentence for both parties. (c) it is unsafe or impracticable for the learner to cease driving whilst the call is being made. This is a broad offence and includes sending text messages and using the internet, so it will very rare for this this defence to apply..